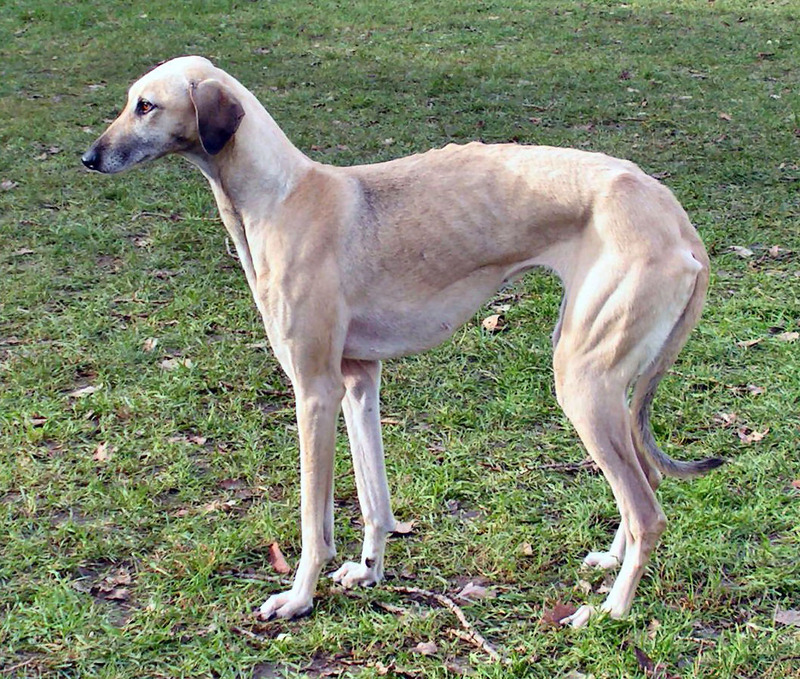 Sloughi is a slender dog yet it is all about strength and speed. If you are looking to keep one as a pet, here is everything that you need to know about this breed. 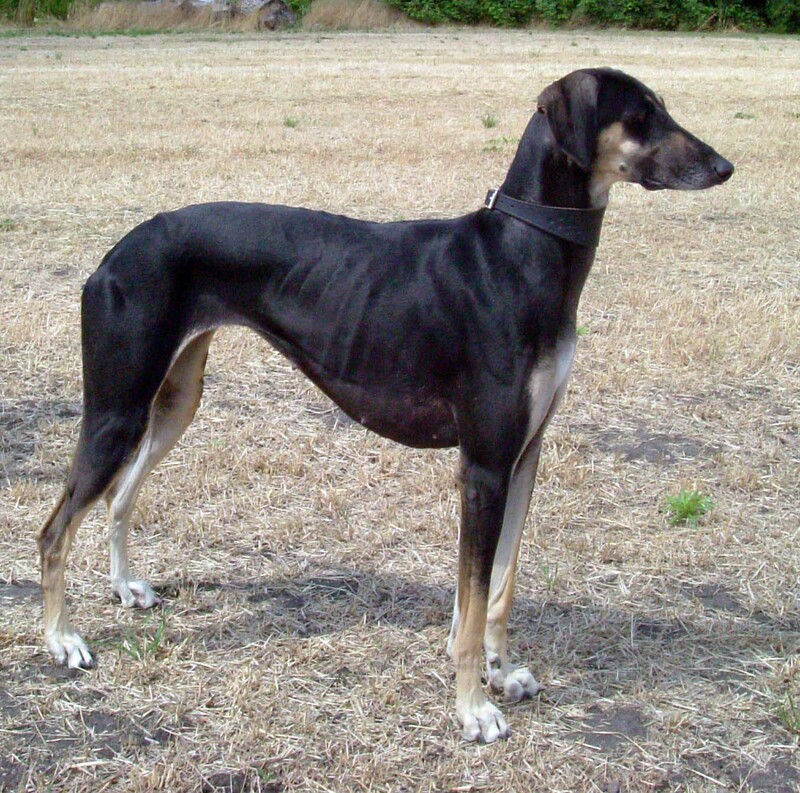 A medium-sized dog, the Sloughi, resembles Greyhound and Saluki from the side. It has a promiscuous skeleton structure that is covered with lean fat and muscles. A long, elegant head and dark, large eyes are the distinguishing features of the Sloughi. The ears are closer to the face. It has an arched and powerful neck. The tail stands low with a slight upward curl. Its feet resemble closely to that of a rabbit with the middle toes larger and webbed overall. This helps the dog during traction in soft desert sand. The male Sloughi stands 26 to 29 inches in height and weighs 55 to 65 pounds. While the female Sloughi is slightly smaller at about 24 to 27 inches in height and 45 to 50 pounds in weight. The Sloughi has a short smooth coat and the color ranges from mahogany red to light sand. The inside of the belly and legs is usually lighter than the rest of the body with small white patches permitted on the toes and the neck. Grooming the Sloughi hardly takes up any time. In fact, it is quite easy. A soft brush or rubber glove is enough to rub down dirt or any sort of mud to keep it looking tidy and groomed. The sleek coat of the Sloughi offers huge benefits when it comes to keeping it clean and healthy. The grime and dirt are automatically repelled when it is outdoors. When bathing the Sloughi, make sure you use a mild shampoo that is vet-approved so as not to excessively strip off its natural oil. Although the skin of a Sloughi is not too sensitive, it is recommended not to over-scrub it. Also, avoid frequent baths as they may do more damage than good. Check the Sloughi’s coat for ticks, fleas, or any sorts of parasites. Make sure to check the neck, belly, ribcage, ears, and legs for any attached parasite that could trigger potential health issues. Make sure you check the dog’s ear for any wax build-up. Use the vet-approved solution to clean the ears gently. Never insert a cotton swab into the dog’s ear. Brush the Sloughi’s teeth regularly and check for tartar and plaque build-up. Regular brushing will keep the teeth and gums healthy. A Sloughi is an affectionate and loving breed. This breed is quite sensitive and requires to be handled gently. The Sloughi seems aloof and detached at first but it is quite loving to its owner and can do anything to please them. Sloughi, once introduced to children, makes great companions and enjoys their company immensely. Because of their strong prey drive, this breed should not be left unattended with smaller pets as it may prove to be troublesome in some cases. A Sloughi stays aloof and uncomfortable in front of strangers but it does not pose any risk or threat to their presence. Once socialized well, a Sloughi adjusts well to new and unfamiliar friends in the house. A Sloughi is hardly ever aggressive toward a human unless it fears any threat to its owner. This breed should be socialized at an earlier age to adjust well with companions and to shun any negative behavior from a very young age. Training the Sloughi is not too difficult if done the right way. They are naturally quick learners and enjoy training and tasks. Housetraining a Sloughi is more difficult than training them to retrieve. When training any dog in general, it is recommended to use positive reinforcements and avoid any sort of punishment or negative reinforcement. Shouting or punishing the dog by locking it in can aggravate the situation and highly affect the bond that you two share. It is recommended to use gentle yet firm training on the Sloughi so that it obeys you completely. Loud and harsh commands will scare it off and may turn it against you or trigger any sort of aggressive behavior. It is better to train the dog individually instead of group training as they enjoy the former better. The name of this breed is thought to have originated from the Saharan settlement or the Yemeni Towns. 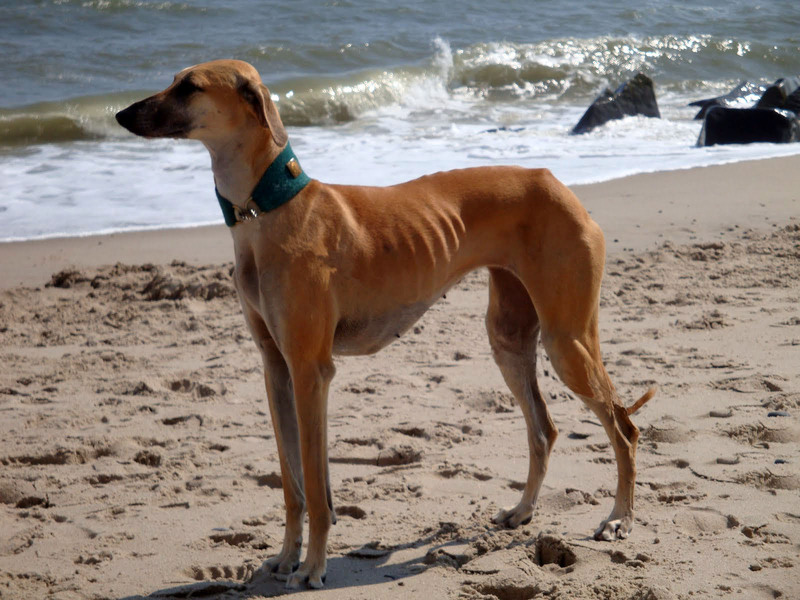 This breed was extensively used in the deserts as sighthound to hunt gazelles, hares, and fennec foxes. It has originated from the Middle East and has now spread to Morocco, Tunisia, Algeria, and Libya.